Commercial fisheries resilience planning is a tool that may be useful for fishing industry members in many different locales. 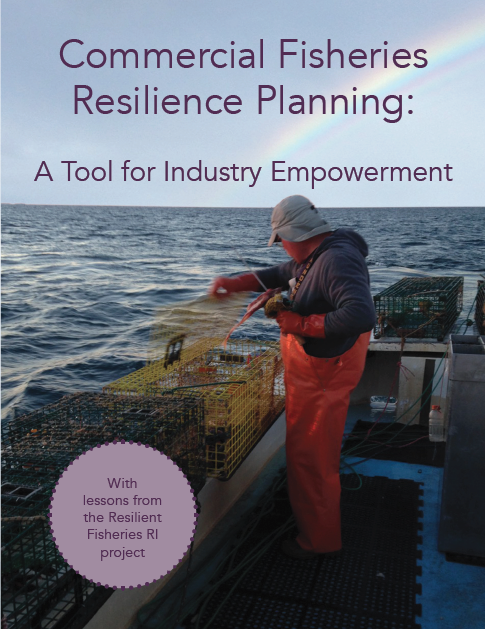 In an effort to make the Rhode Island experience useful to our colleagues in other places, the Resilient Fisheries RI planning team has created a manual called Commercial Fisheries Resilience Planning: A Tool for Industry Empowerment. Are you a member of the fishing industry or the fishery support community who is you considering embarking on a fisheries resilience planning effort in your state or region? Feel free to reach out to us at ResilientFisheriesRI@gmail.com to learn how we got started and what we learned along the way. Copyright © 2018. The Resilient Fisheries RI project is a decentralized, grassroots project belonging to the entire RI commercial fishing industry. The initial phase of the project was supported through a Saltonstall Kennedy grant from the National Oceanic and Atmospheric Administration awarded to the RI Natural History Survey, which acted as fiscal sponsor for the project from September 2015 - April 2018.